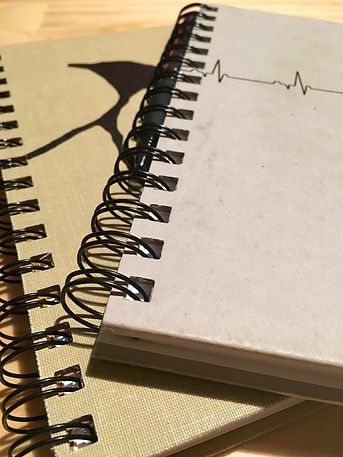 “I don’t know what I’d do if I ever lost my notebook,” I told him. I cringed. I didn’t love that. What I do love is flipping through my notebook and remembering the strange (and often incredible) ideas I’ve scribbled at a poetry reading or in the dark at 4am. I can’t stand losing even a paragraph to a technological glitch, let alone tossing everything I’d written in a year into the abyss. That gives me the chills—both in the horror movie, hair-standing-on-end way, and in the “whoa, that’s amazing” way. See, it’s amazing to me that someone could have so much faith in their own creativity. Little inspiration particles constantly force their way into my head and bounce off the inside of my skull. I collect them and write them down because there’s simply no other way to prevent my brain from exploding. But because ideas just happen to me—I don’t often brainstorm or search for aha moments—I know I can’t depend on the existence of future muses. Tomorrow I could wake up to radio silence, not even the dull white noise of lackluster, average words. I could wake up to complete tranquility and never have another skull-rattling spark of revelation ever again. If that happened, I’d still have my notebooks. I’d have the energy of curious word combinations to excite the inspiration particles, and I’d be back to creating. I hope the ideas never stop infiltrating my head, but in the mean time, I think I’ll stand far away from the fire.